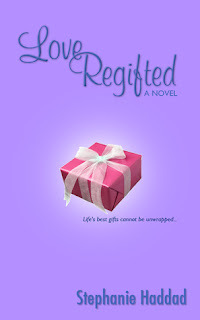 I usually all out love Stephanie Haddad's novels, but Love Regifted was a bit disappointing. I liked the main character, Ava, for the most part, but I felt like there was just too much going on to really form a relationship with her. 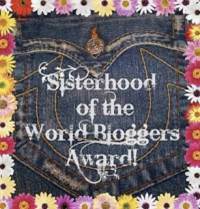 Ava works as a party planner and she is organized, efficient, fun, and sweet. But she also runs away from her problems, dates the guys she knows are bad, and is quite quick to judge. Though that may be, I feel like I could have connected with her if there weren't so many factors, situationally. It's difficult to pay attention to the main character when she's fighting off an ex-boyfriend who is trying to marry her step-sister, trying to seduce a bartender, finding out some intense family secrets, and up for a promotion at work. And not to mention, attempting to be supportive of her friends who have their own problems. The first part of this book was hilarious. I loved it. But then three (low estimation) plot lines emerged, tangled together, and before I knew it I was half way through with the book and didn't really care. It was too much to take on. Perhaps I should have spread the novel out for a few days? I did read the entire thing in one day, though not in one sitting. The story was wonderul! It just kind of flopped with character connection. (Sadly.) The beginning and the end: highly recommended. The middle: skim?